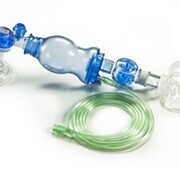 The Ambu SPUR II (Single Patient Use Resuscitator) is designed for manual ventilation of neonates through to adults. Simple is good. But simpler is better. Our unique single-shutter valve has proven its reliability over two decades of emergency and hospital use. 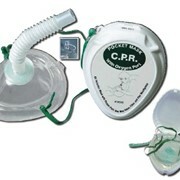 The crystal clear valve housing provides an unimpeded view of the valve operation, and the slim design makes it easier to view the mask. Adult and pediatric sizes have a soft splashguard for user safety and all pediatric and infant sizes are equipped with an override vale system that helps prevent giving to high pressure into the patient’s lungs. 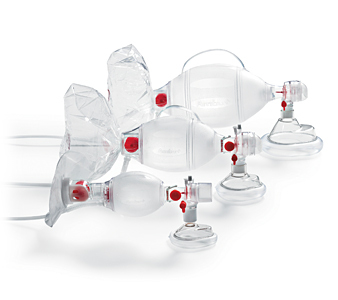 Ambu SPUR II represents a complete family of resuscitators, including infant, pediatric and adult sizes. 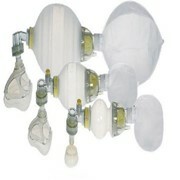 And with a choice of six mask sizes, open and closed reservoirs, plus a range of optional equipment. 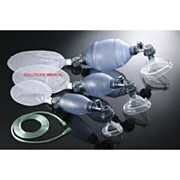 All Ambu SPUR II resuscitators come in individual, resealable plastic carrying bags, complete with one or more masks and any special accessories. 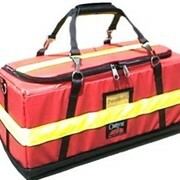 The bags themselves are color-coded for fast identification of infant, pediatric, and adult sizes. The Ambu SPUR II adult, pediatric and infant versions delivers one hand stroke volumes of 800 ml (1100 ml with two hands), 450 ml and 150 ml, respectively. 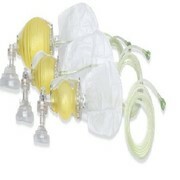 Ambu SPUR II is made from a fully disposable environmentally safe SEBS material. 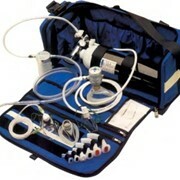 Ambu SPUR II, infant, body weight up to 10 kg (1 years). 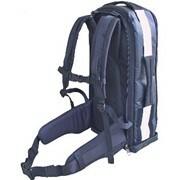 Bag reservoir volumes are adult approx. 2600 ml, pediatric approx. 2600 ml and infant approx. 300 ml. Standard tube reservoir volumes are adult approx. 393 ml, pediatric approx. 393 ml and infant approx. 100 ml.